Hi there! 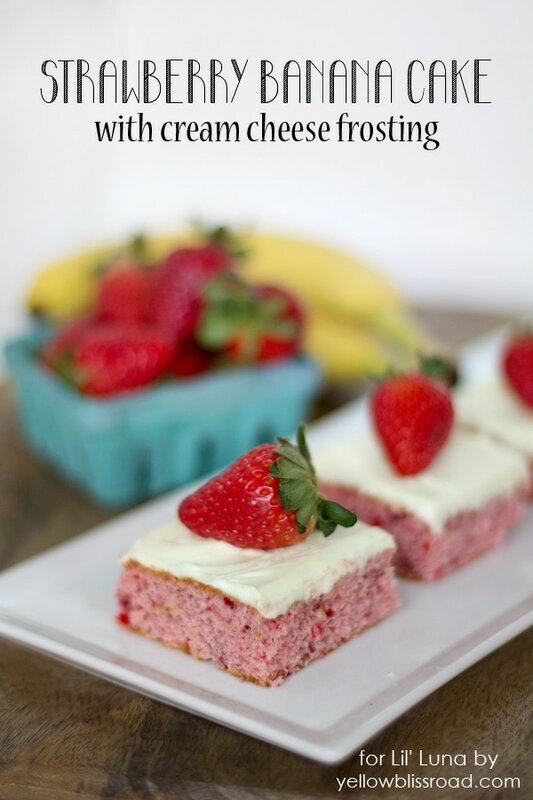 I’m Kristin from Yellow Bliss Road, back again with another delicious dessert to share with you. It’s Pumpkin Everything season!! 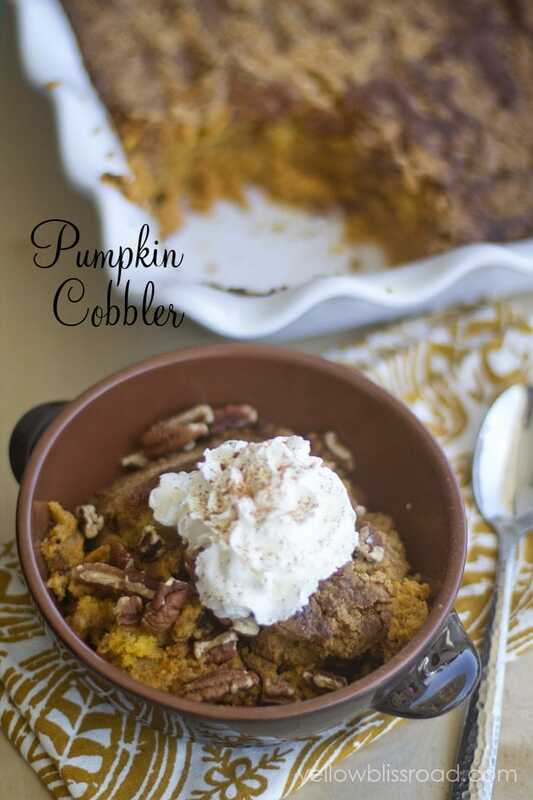 This Pumpkin Cobbler is super easy to make and something that your whole family will enjoy – It has all the flavors and textures you love about Pumpkin Pie, without all the work! I’ve never been a fan of Pumpkin Pie. I can’t really put my finger on it but it’s just never been something I enjoyed. 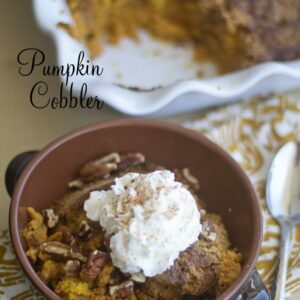 But I love pumpkin flavor and pumpkin pie spices, like in my Pumpkin Apple Bread and 2 Ingredient Pumpkin Muffins, and I definitely love dessert, so this Pumpkin Cobbler is a perfect fit. 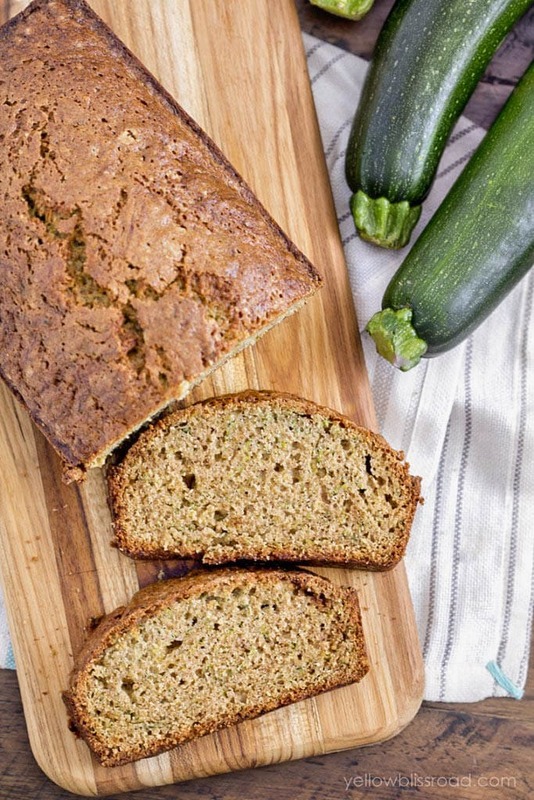 It’s easy to make with just a few ingredients and it comes out perfectly moist and delicious. You can make the topping a couple of different ways; with pecans and without. My son is allergic to them so I leave them out when I cook this for my family, and just sprinkle them on top for myself. However, if allergies aren’t an issue for you, I’ll share in the recipe below how to add them into a crunchy topping for your cobbler. Ok, let’s see how it’s made! You’ll start with a large can of pumpkin (not the pie filling) – I usually grab the Libby’s brand – white and brown sugar, salt and Pumpkin Pie Spice. Mix that together and add in eggs and evaporated milk and stir it all up. The colors just scream fall! 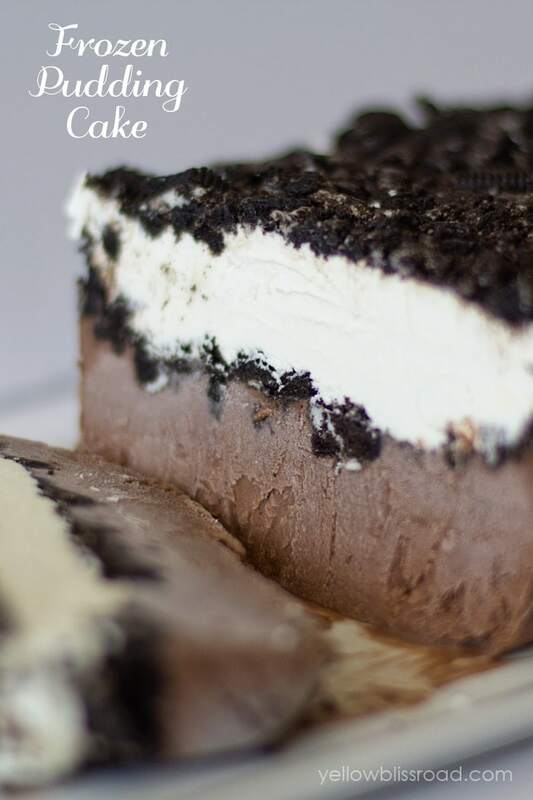 Pour that mixture into a 9″x12″ pan and sprinkle yellow cake mix on top. If you’re using pecans, this is the time to add them, then pour melted butter over the top. It doesn’t have to be perfect. Now it’s time to pop it in the oven for about an hour and fifteen minutes. I know it sounds like a long time but it’s so worth it, and it smells divine! You’ll know it done when the top is no longer soft and crumbly. 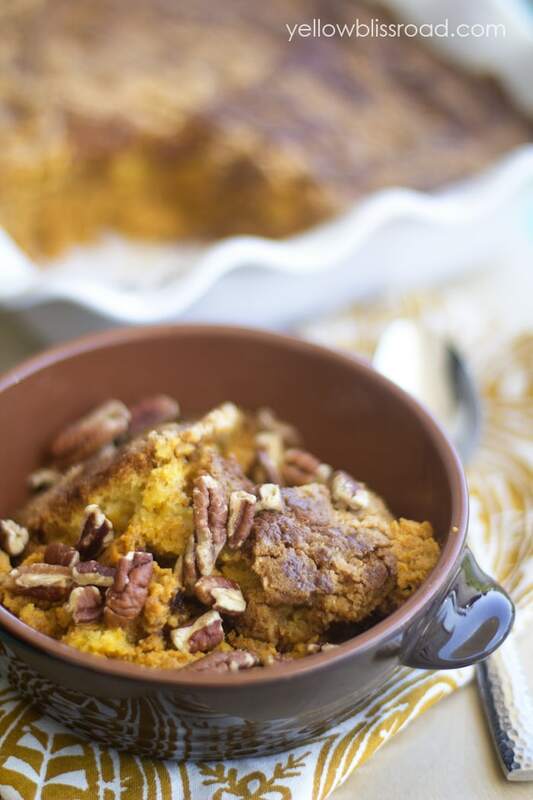 Served warm, the pumpkin has a creamy texture and the crispness of the cake topping is the perfect compliment. Top it with vanilla ice cream or for a lighter dish, whipped cream, and a sprinkling of cinnamon. 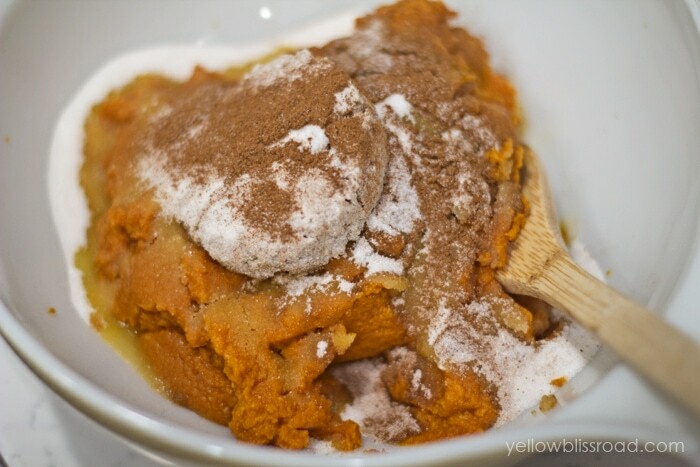 Easy Pumpkin Cobbler recipe - all the flavors of Pumpkin Pie in an easy to make baked dessert! Recipe includes yellow cake mix, pumpkin, pumpkin pie spice, and some seasonings, topped with your favorite nut! Preheat oven to 350 degrees and prepare a 9" x 12" pan with cooking spray. 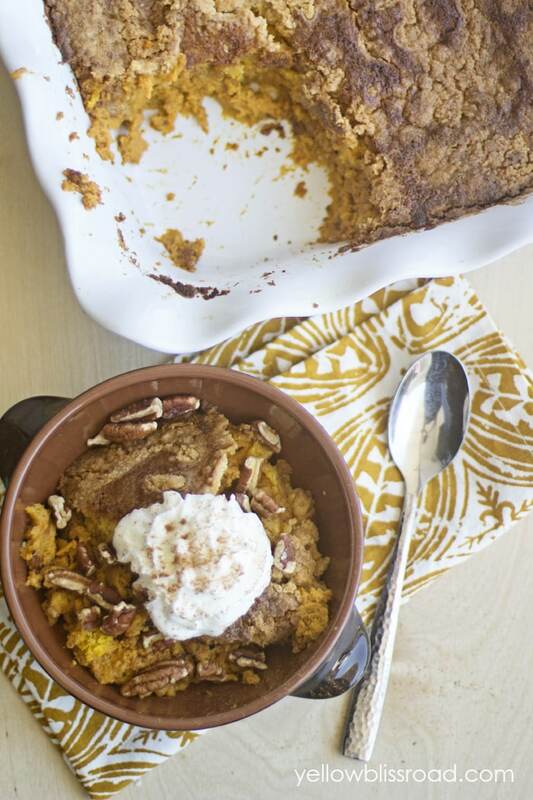 Mix pumpkin, sugars and spice together in a large bowl. Add beaten eggs and evaporated milk and stir to incorporate. Pour pumpkin mixture into the prepared pan. 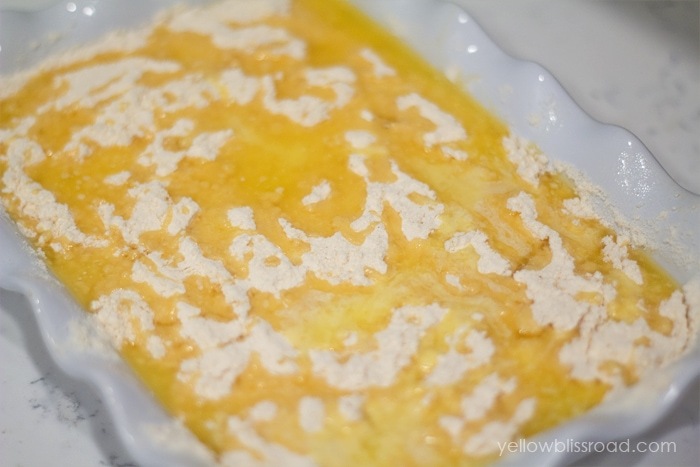 Whisk cake mix in a medium bowl to break up any lumps. Sprinkle evenly over the pumpkin. Sprinkle pecans (optional) and then butter over the cake mix. Bake for 1 hour, 15-20 minutes. 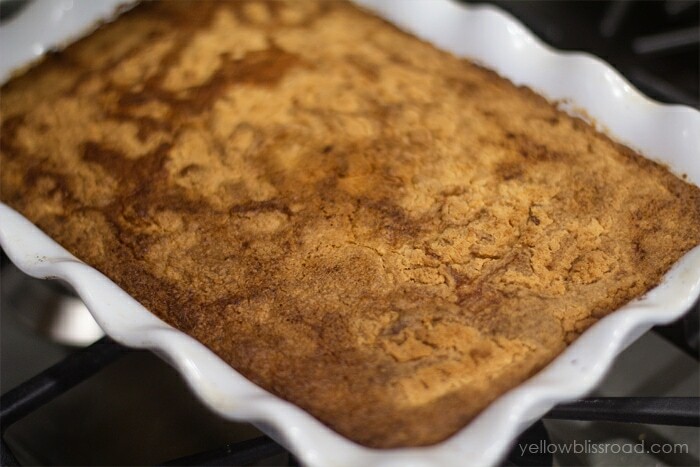 Cobbler is finished when the top is golden brown and the cake mix no longer looks crumbly. Divide into bowls and serve warm, topped with whipped cream or vanilla ice cream and a sprinkling of cinnamon. Mmmm, can’t go wrong with Pumpkin Cobbler in my mind! Can’t wait to try this delicious and easy recipe. 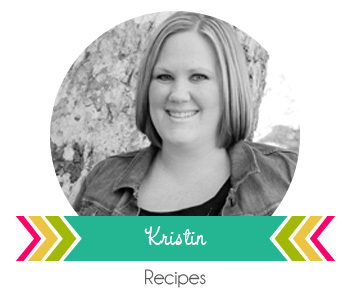 Thanks, Kristin!! For more great recipes and creations from her head on over to Yellow Bliss Road, and for more information about her go HERE. For all treat recipes go HERE. Can’t wait to make this recipe! Pinned! Sweet! My family loves cobblers!